Inspiration guides us, but for my master bedroom I needed something that would WOW me. I’ll admit, I joined this $100 Room Challenge because I had so much fun redoing the hall closet for the last challenge, but had no idea what space I wanted to do. It was between our master bedroom and another closet, but I felt the closet would be too safe. Once I saw this inspiration photo it sealed the deal. 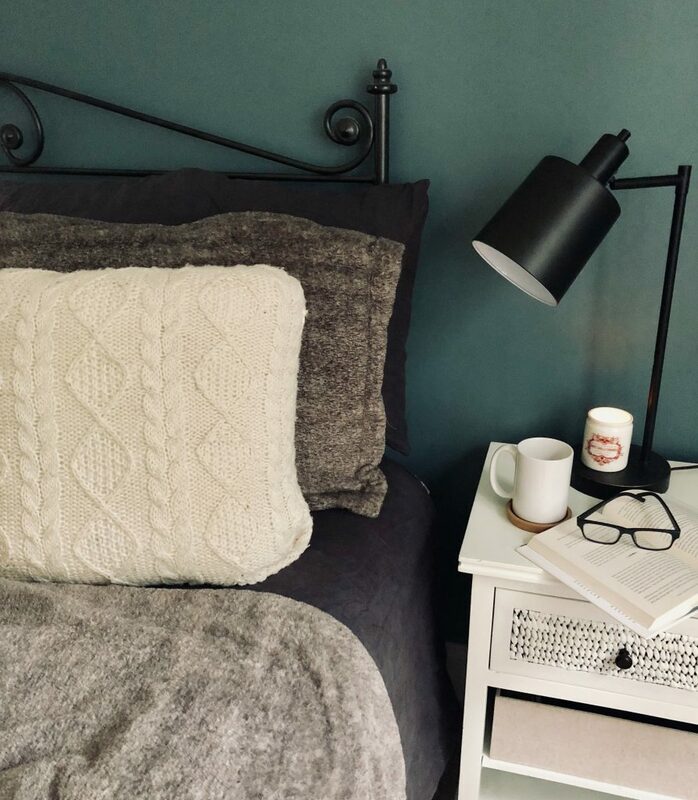 I found this inspiration photo from an Etsy account selling the headboard. 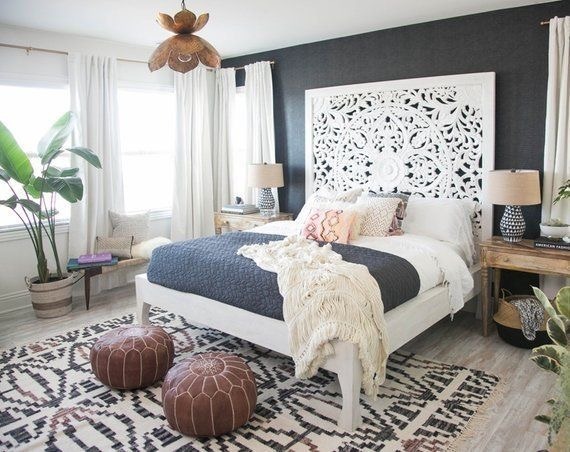 I loved the dark accent wall and the statement headboard. There was something about these pictures that just stopped me in my tracks. 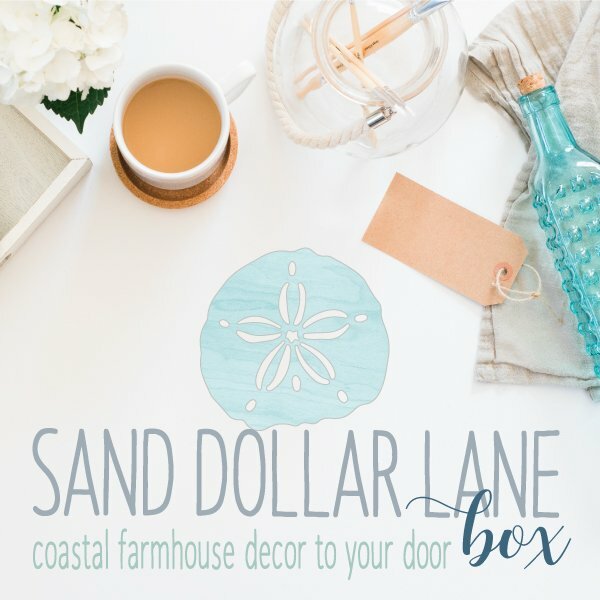 Our home is coastal, and this boho inspired room has a lot of subtle coastal touches too. But hold it right there, that headboard is $572, which is WAY more than the $100 challenge budget. This is where it gets to be fun. 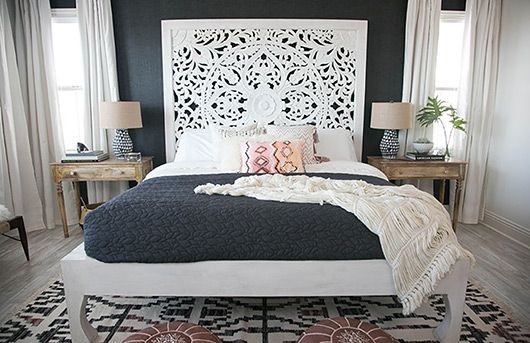 How am I going to recreate this boho headboard AND stay on budget? This headboard is basically the main attraction in this bedroom. Being able to recreate the headboard and still transform the rest of the room was definitely going to be a challenge. My first thought was using a wall tapestry, but it gave more of a college dorm feel and not the hand carved wood like in the picture. Then it dawned on me, wall stencil! While I worked on the logistics to make this happen, I worked on the rest of the room. Doing a room renovation can still have a huge impact using things you already have on hand. I love being able to reuse and repurpose things and supplies we already have in our home. 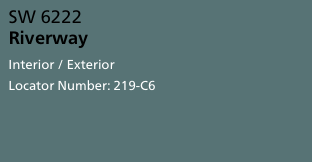 In my master closet renovation, I painted my Ikea Rast dressers a gorgeous blue green color called Riverway. I decided this is the color for the accent wall. I loved the color and since we already had a lot of it left, painted the back wall behind our bed in this color. I LOVED it. It goes really well with dark gray duvet and the gray barn door. Trying out the accent color during the holiday’s. Not only did I love the color on the Rast dressers, it looked even better on the wall. In trying to keep the cost down, I found another partial gallon of my favorite color Benjamin Moore White Dove, which is the color of the side tables in the room. I wouldn’t have enough to paint the three remaining walls, which means I would need to buy at least another gallon. 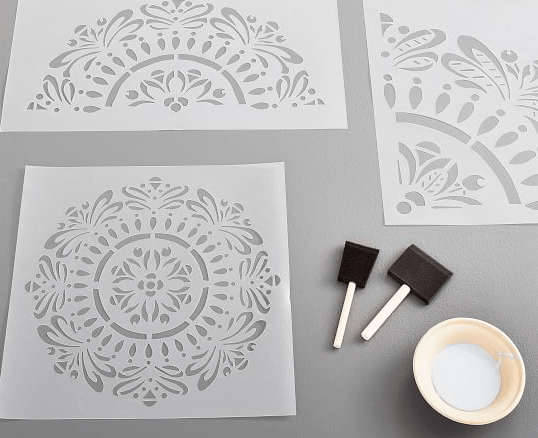 Back to my research to find a wall stencil, I found a Mandala stencil from PB Teen and the best part, it was on sale for $11.99! My idea is to paint the background White Dove and use the Riverway accent wall color for the stencil to make it look like it’s hand carved. Buuuuuuut I’m still working out what material I want to use for the headboard. Between the paint I needed to buy and the stencil, I’m half way through my $100 budget. I still need to add decorative touches to pull the look together. Buckle in folks, things are about to get interesting! Wow, I’m really looking forward to seeing how you recreate the headboard. Using the stencil is very clever. Thank you Linda! I am hopeful it turns out the way I envisioned. Thank you! I’m equal parts excited and nervous to see it all come together. Brooke, I love your Mandala stencil. And what a bargain at $11.99! I can’t wait to see your new headboard! I couldn’t believe it either because the stencils I found that I needed to be large were so pricey.